Congratulations to the state of Washington for once again ranking No. 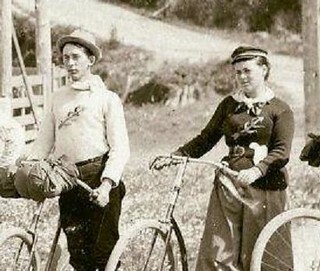 1 on the list of Bicycle Friendly States compiled by the League of American Bicyclists. 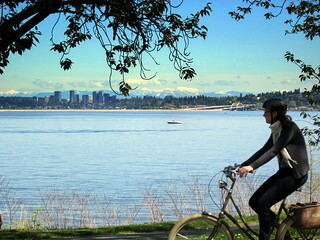 This marks the sixth year in the row that Washington has led the list compiled by the bicycle advocacy group. 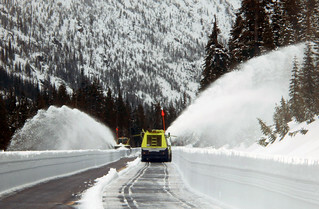 An annual rite of spring is the reopening of the North Cascades Highway in April or early May after snow plow crews complete the task of scraping the road to bare pavement. 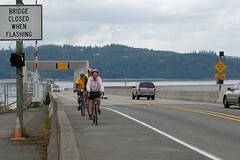 That not only opens a 40-mile stretch of Highway 20 in northern Washington state to car traffic, but it also marks the reopening of a remarkably scenic link of Adventure Cycling Association’s Northern Tier and Washington State Parks bicycle routes to touring bicyclists. Everyone says that Friday the 13th is bad luck, but after tonight I’m going to revise that old superstition. I couldn’t get out on my Day 13 bike ride until after dinner, and I chose to buzz over to the Blockbuster in Renton to drop off a movie. 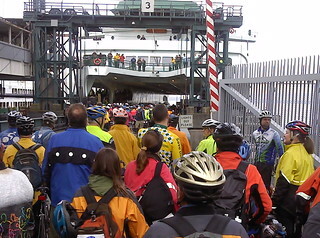 Fares are going up on the Washington State Ferry system beginning May 1 — except for bicycles.